The masses of men live with their backs constantly against the wall. They are the poor, the disinherited, the dispossessed. What does our religion say to them? … It is utterly beside the point to examine here what the religion of Jesus suggests to those who would be helpful to the disinherited. That is ever the nature of special pleading. No man wants to be the object of his fellow’s pity. Obviously, if the strong put forth a great redemptive effort to change the social, political, and economic arrangements in which they seem to find their basic security, the whole picture would be altered. But this is apart from my thesis. Again the crucial question: Is there any help to be found for the disinherited in the religion of Jesus? These words have guided my Lenten journey. With the cross ever ahead as I stumble along the path through death into new life, Howard Thurman’s seminal discourse on the hope that Christianity offers to those on the margins, Jesus and the Disinherited, provides me with a topographical map through the contours of human emotion and experience. The “path through death” that Jesus calls me to walk, always and especially this Lenten season, is a critical self-examination of my immersion and participation in a world that dehumanizes others through fear, deception, and building identity and self-preservation or enrichment at the expense of others. How do I fall into these life-draining, soul-killing patterns, and how can I follow Jesus out of them? Stumbling blocks that tempt us to find ourselves at the expense of others, draining the very life we seek to gain, litter all of our paths, though they may take different forms. 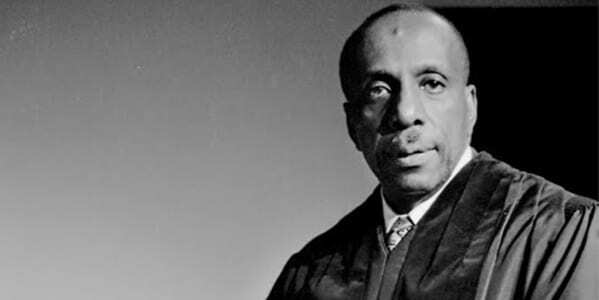 In Jesus and the Disinherited, Howard Thurman presents the stumbling blocks of fear, deceit, and hatred – “hounds of hell,” as he calls them – as they manifest to those who are oppressed and marginalized. Those of us with white privilege and economic privilege are not the primary audience to whom this book was written. But we are called to listen – not with pity, and not out of a desire to be saviors – but to face the reality of what privilege for us at the expense of others truly means. Facing this reality is the necessary first step to understanding our role in transforming it. We have a responsibility to see the hounds of hell that plague the disinherited, the “masses with their backs against the wall,” for their howls echo right back at us twice as loudly from the walls of slander and limited opportunity that confine them. Stripped of our defenses and rationalizations, we must see the reality that living at the expense of others creates. Jesus and the Disinherited shows us this reality. It throws into harsh relief not only the experience of the those who are oppressed, but the overwhelming emotional and psychological weight of being devalued and dehumanized. Seventy years after its publication, the realities it illuminates are still very much part of the lives of African Americans, people of color, and other minorities. Stripped of our defenses and rationalizations, we must see the reality that living at the expense of others creates. Those living under the weight of oppression cannot depend on waiting for those of us who do not to put forth that “great redemptive effort” to which Dr. Thurman refers in order to escape the hounds of hell that plague the soul. Dr. Thurman therefore shows not only the hounds of hell that plague the disinherited, but the wisdom and strength that Jesus models for taming and transforming those beasts. For Jesus placed himself in the midst of the disinherited as a poor Jew living under the oppression of Rome, and thus their temptations were his, and his wisdom becomes their hope. When heeded, this wisdom and strength magnifies the dignity that unjust power systems seek to squelch so that the truth of God’s love for the disinherited becomes impossible for the privileged to continue to deny. It is by living into their own hope that the disinherited catalyze us to live into ours. The disinherited take the lead in the salvation that Christ initiates, spurring those of us with privilege to find the strength and courage to put forth that “great redemptive effort” that may transform the racist structures upholding our nation and world. That effort begins by seeing that what we do to the disinherited, we do to Christ. The faith of Jesus is not just a faith for helping the poor; it is the faith of one who became poor. It is first and foremost a faith for the poor, outcast, and marginalized. The last now come first. If we have privilege, we must humble ourselves to follow the lead of those at whose expense our privilege has come. And we must use the strength Christ gives us through forgiveness to break down the structures of death that divide the disinherited from us, that we may find our authentic identity as sisters and brothers bound together in eternal Love. The disinherited take the lead in the salvation that Christ initiates. So what does Dr. Thurman say about the hounds of hell that unjust systems sic upon the disinherited, and what hope does Christ give for overcoming them? As Lent transitions into Holy Week and we take our final steps toward the cross and the new life that awaits beyond it, I want to share my reflections on the three “hounds of hell” that plague not only the oppressed, but all of us. Seeing how fear, deception, and hatred tempt those at whose expense my privilege has come shines a mirror upon me, forcing me to confront my own inner demons. Tomorrow, Wednesday, and Thursday, I will encounter each hound – fear, deception, and hate – taking step by stumbling step toward the cross. On Good Friday, we will see the hope Jesus gives to the disinherited and all of us. As the world unleashed the hounds of hell upon him, Jesus responded in the only way that can keep the wild beasts from devouring us from the inside out and restore us to our full humanity: with an all-embracing forgiveness and love. Image: “Howard Thurman” by On Being. Available on Flickr via Attribution Noncommercial 2.0 Share-Alike Creative Commons license.